Things begin in November 1975 when Roz and Paul Mellow’s four children—teenagers Holly and Michael and their siblings Dashiell, eight, and Claudia, six—go through their parents’ book together in the family den in suburban Wontauket. Their “orchestra seats for the primal scene” ensure that none of them will be the same. 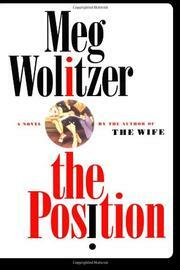 Weaving together the stories of the four and their now-divorced parents, Wolitzer (The Wife, 2003, etc.) covers a wide swath of pop culture, from Claudia’s fascination with troll dolls to Dashiell’s discovery that he’s gay (and Republican), Michael’s antidepressant-induced sexual dysfunction, and the downward trajectory of Holly, the oldest, who, after decades of drug-taking, emerges miraculously as a still attractive fortysomething nursing mother unwilling to deal with her family except from a distance. The thirtieth anniversary reissue of Pleasuring brings the family back into conflict. Roz, remarried and teaching at Skidmore, is all for it, wanting the attention and the royalties. Paul, retired in Florida with a long-suffering second wife, resists. We learn that Paul was originally Roz’s psychoanalyst (he was ousted from the profession) and that Roz left Paul for the illustrator of Pleasuring, who sketched the two for months and then declared his love. While Michael tries to convince his father to go along with the deal, his lover Thea plays Dora in a play based on the Freudian case study and starts an affair with her female costar; Dashiell gets Hodgkin’s and needs a stem-cell transplant; and Claudia meets David Gupta, whose parents live in her old house, and begins her first true love affair. Immensely readable, if occasionally flat. Wolitzer is best when she stirs the pot of familial and generational tensions.